Now imagine the prospect of having gone to a place where you do not know any good hairdresser. Will you still leave the fate of your style to a stranger? Please don’t. 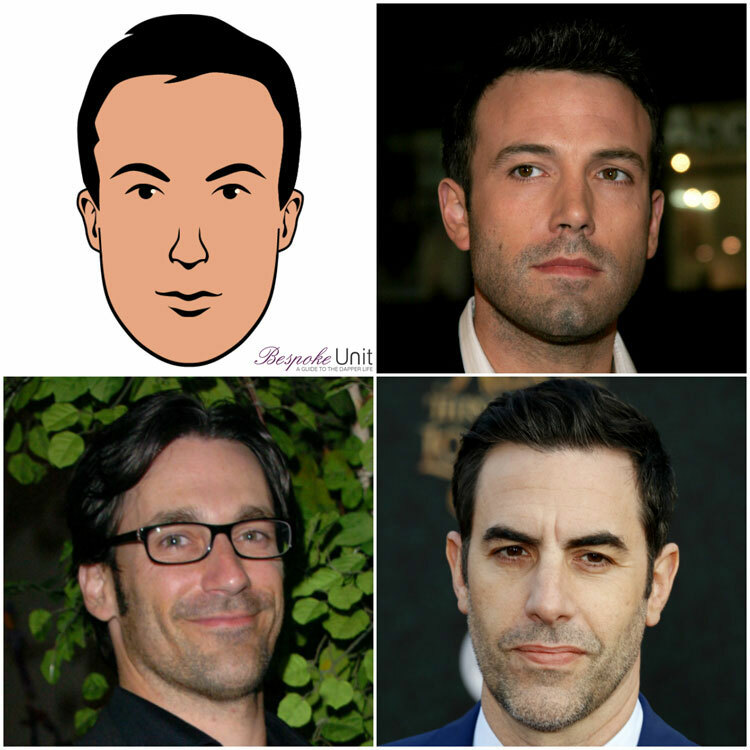 Rather, you don’t have to as we have compiled exactly which hairstyle suits which face shape. As simple as that. Just know your face shape and pick your favorite style and never be at the mercy of any stranger from now onwards. Hairstyle for the Oval Face: If you are born with an oval face, you are a lucky man. Your perfectly proportionate face makes a variety of styles suitable for you. You can choose from many hairstyles at any hair length. The traditional quiff (voluminous back brush) is an all-timer for oval-faced men. You can also opt for a shallow bald head and equally good to go will be a pompadour (a front puff with texture). You can trim the sides from thick to shallow, as well as go for a neat cut. Hairstyle for the square face: A square face has prominent bends and features. Make sure you keep a volume to avoid over-accentuating your face. The perfect balance between voluminous hair and your chiseled face will make your features stand out. You can opt for any range of undercut (a style where there is a side or center part at the center with the sides trimmed short). There are many modern version of undercut adopted which you can try. But try not to part your hair as it will not go well with your features instead you can pair up the quiff-undercut. Please keep volume come what may. Hairstyles for the round face: Since round face lacks edge and sharp curves, your hairstyle must include a lot of dimensions. You must make sure that your hair is parted and voluminous so that it creates an illusion of dimension. You can opt for a pompadour with a side part. Keep the sides shorter than the middle to make your face look edgier. Avoid simply back-brushing your hair as it might make you look like a school-boy. Try creating as much dimension as you can. Mohawk-haircut will be a great way to experiment with a different dimension. Who knows it might click? Hairstyles for rectangular face: A rectangular face is naturally distinctive. So you don’t want to over-do your hairstyle and spoil the features of your face. Any basic hair cut goes well with a rectangular face. Try not to keep extra volume and always go for a side part to complement your chiseled face. Pompadour cut is a safe-zone for all rectangular faced men. You must remember that your hairstyle should accentuate the natural edge of your face. If you have long hair length then keep it simple and wear it with a side part. The neat look is the cue. Hairstyle for Diamond face: Your face is naturally long and with high seated cheekbones. Thus, you need to keep your hair messy to accentuate the length of your face. You can opt for any basic side part hairstyle that is slightly messy. Also, the diamond-shaped face goes great with fringes. The fringes should not go everywhere. Rather it must be kept angular to balance the wide cheekbones of your face. Keep the sides trimmed and the center wavy so that your face looks aesthetically balanced. Always remember to ask your hairstylist to add some angular texture to your hairstyle. You can also experiment with long hair. Do not go for a bald head unless you are feeling extremely experimental. So guys, hope this compact guide will aid in your decision making when it comes to picking your favorite hairstyle. No matter what men’s grooming you pick, confidence is the key to rocking it. Even if there has been that awful experimental phase where you ended up with a disastrous haircut, do not lose your confidence. It is only hair, and it grows faster than your displeasure. Wear your charming smile with any hairstyle and see how you rule the world. Styling your hair is fun but do not ignore your hair health. Use as little style-holder chemical cosmetics as possible. It can seriously damage your hair. Please keep your scalp clean. That is the root of healthy hair. Wash your hair off any damaging chemicals and maintain its cleanliness at all times. Side parts over a long period of time can cause hair to thin near the part. Use alternate side parts if you simply cannot do without a side part. Like, change your part every alternate month. Trim your hair regularly to ensure healthy hair growth. Please do not skip the head massage once a while. It will ensure healthy blood circulation for a voluminous mane. P.S: Do not step back to experiment. Try out new styles and who knows you might be the next trendsetter on Instagram. Do try out and let us know of your hairstyle adventures. We will be delighted to keep our readers updated.